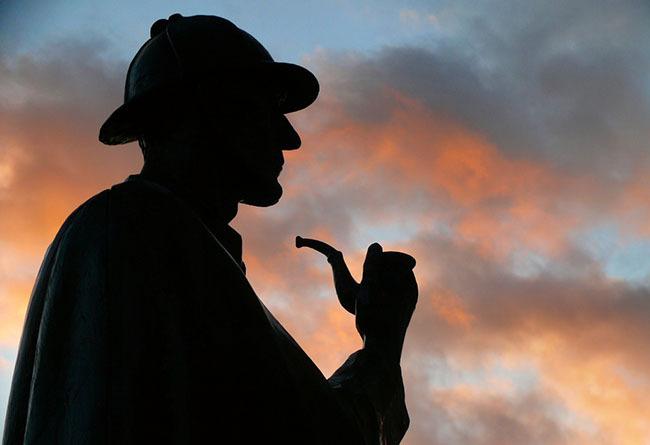 Author Genevieve Cogman discusses the many faces of Sherlock Holmes. Yet when other people do create homages to Holmes – be they literature, movies, television series, animation, manga, computer games, or whatever – they often emphasize different parts of his character, depending on the needs of the story and the author’s own perception of Holmes. This isn’t wrong. The fact that Holmes has all these facets only makes him more human. I’m going to quote a few examples of his qualities, taken from the short stories. There are certainly many more examples available, and I apologise to anyone whose favourite quotation I’ve left out. I also apologise to anyone whose favourite Holmesian personal quality I’ve left out. Like all of us – even Holmes - my perspective is limited. During my long and intimate acquaintance with Mr. Sherlock Holmes I had never heard him refer to his relations, and hardly ever to his own early life. This reticence upon his part had increased the somewhat inhuman effect which he produced upon me, until sometimes I found myself regarding him as an isolated phenomenon, a brain without a heart, as deficient in human sympathy as he was pre-eminent in intelligence. His aversion to women, and his disinclination to form new friendships, were both typical of his unemotional character, but not more so than his complete suppression of every reference to his own people. A flush of colour sprang to Holmes’ pale cheeks, and he bowed to us like the master dramatist who receives the homage of his audience. It was at such moments that for an instant he ceased to be a reasoning machine, and betrayed his human love for admiration and applause. “From what I have seen of the lady, she seems, indeed, to be on a very different level to our Majesty,” said Holmes coldly. He took two swift steps to the whip, but before he could grasp it there was a wild clatter of steps upon the stairs, the heavy hall door banged, and from the window we could see Mr. James Windibank running at the top of his speed down the road. It was late that night when Holmes returned from his solitary excursion. We slept in a double-bedded room, which was the best that the little country inn could do for us. I was already asleep when I was partly awakened by his entrance. "Well, Holmes," I murmured, "have you found anything out?" He stood beside me in silence, his candle in his hand. Then the tall, lean figure inclined towards me. "I say, Watson," he whispered, "would you be afraid to sleep in the same room with a lunatic, a man with softening of the brain, an idiot whose mind has lost its grip?" "Not in the least," I answered in astonishment. "Ah, that's lucky," he said, and not another word would he utter that night. Some people blame inconsistencies in his characterisation on the original author, Sir Arthur Conan Doyle, while others point the finger at Watson, calling him an unreliable narrator. The fundamental point which I would take from all of the above is that Holmes was human. It’s that humanity, and all the complexities in the human character, which have made Holmes a character that has lasted for more than a hundred years, and who has been and will remain an icon in popular culture. We know who Sherlock Holmes is. He’s real.